Plato. (427?–347 B.C.). The Apology, Phædo and Crito. Condemned for impiety, Socrates felt so justified in the virtue of his past action that instead of receiving a death sentence, he told the judges he should be maintained at public expense as a public benefactor. THERE are many reasons why I am not grieved, O men of Athens, at the vote of condemnation. I expected this, and am only surprised that the votes are so nearly equal; for I had thought that the majority against me would have been far larger; but now, had thirty votes gone over to the other side, I should have been acquitted. And I may say that I have escaped Meletus. And I may say more; for without the assistance of Anytus and Lycon, he would not have had a fifth part of the votes, as the law requires, in which case he would have incurred a fine of a thousand drachmæ, as is evident. And so he proposes death as the penalty. And what shall I propose on my part, O men of Athens? Clearly that which is my due. And what is that which I ought to pay or to receive? What shall be done to the man who has never had the wit to be idle during his whole life; but has been careless of what the many care about—wealth and family interests, and military offices, and speaking in the assembly, and magistracies, and plots, and parties. Reflecting that I was really too honest a man to follow in this way and live, I did not go where I could do no good to you or to myself; but where I could do the greatest good privately to everyone of you, thither I went, and sought to persuade every man among you that he must look to himself, and seek virtue and wisdom before he looks to his private interests, and look to the State before he looks to the interests of the State; and that this should be the order which he observes in all his actions. What shall be done to such a one? Doubtless some good thing, O men of Athens, if he has his reward; and the good should be of a kind suitable to him. What would be a reward suitable to a poor man who is your benefactor, who desires leisure that he may instruct you? There can be no more fitting reward than maintenance in the Prytaneum, O men of Athens, a reward which he deserves far more than the citizen who has won the prize at Olympia in the horse or chariot race, whether the chariots were drawn by two horses or by many. For I am in want, and he has enough; and he only gives you the appearance of happiness, and I give you the reality. And if I am to estimate the penalty justly, I say that maintenance in the Prytaneum is the just return. Perhaps you may think that I am braving you in saying this, as in what I said before about the tears and prayers. But that is not the case. I speak rather because I am convinced that I never intentionally wronged anyone, although I cannot convince you of that—for we have had a short conversation only; but if there were a law at Athens, such as there is in other cities, that a capital cause should not be decided in one day, then I believe that I should have convinced you; but now the time is too short. I cannot in a moment refute great slanders; and, as I am convinced that I never wronged another, I will assuredly not wrong myself. I will not say of myself that I deserve any evil, or propose any penalty. Why should I? Because I am afraid of the penalty of death which Meletus proposes? When I do not know whether death is a good or an evil, why should I propose a penalty which would certainly be an evil? Shall I say imprisonment? And why should I live in prison, and be the slave of the magistrates of the year—of the Eleven? Or shall the penalty be a fine, and imprisonment until the fine is paid? There is the same objection. I should have to lie in prison, for money I have none, and I cannot pay. And if I say exile (and this may possibly be the penalty which you will affix), I must indeed be blinded by the love of life if I were to consider that when you, who are my own citizens, cannot endure my discourses and words, and have found them so grievous and odious that you would fain have done with them, others are likely to endure me. No, indeed, men of Athens, that is not very likely. And what a life should I lead, at my age, wandering from city to city, living in ever-changing exile, and always being driven out! For I am quite sure that into whatever place I go, as here so also there, the young men will come to me; and if I drive them away, their elders will drive me out at their desire: and if I let them come, their fathers and friends will drive me out for their sakes. Someone will say: Yes, Socrates, but cannot you hold your tongue, and then you may go into a foreign city, and no one will interfere with you? Now I have great difficulty in making you understand my answer to this. For if I tell you that this would be a disobedience to a divine command, and therefore that I cannot hold my tongue, you will not believe that I am serious; and if I say again that the greatest good of man is daily to converse about virtue, and all that concerning which you hear me examining myself and others, and that the life which is unexamined is not worth living—that you are still less likely to believe. And yet what I say is true, although a thing of which it is hard for me to persuade you. Moreover, I am not accustomed to think that I deserve any punishment. Had I money I might have proposed to give you what I had, and have been none the worse. But you see that I have none, and can only ask you to proportion the fine to my means. 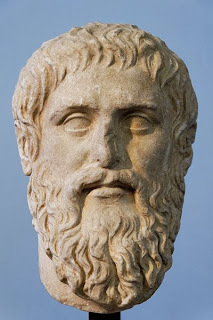 However, I think that I could afford a mina, and therefore I propose that penalty; Plato, Crito, Critobulus, and Apollodorus, my friends here, bid me say thirty minæ, and they will be the sureties. Well then, say thirty minæ, let that be the penalty; for that they will be ample security to you. NOT much time will be gained, O Athenians, in return for the evil name which you will get from the detractors of the city, who will say that you killed Socrates, a wise man; for they will call me wise even although I am not wise when they want to reproach you. If you had waited a little while, your desire would have been fulfilled in the course of nature. For I am far advanced in years, as you may perceive and not far from death. I am speaking now only to those of you who have condemned me to death. And I have another thing to say to them: You think that I was convicted through deficiency of words—I mean, that if I had thought fit to leave nothing undone, nothing unsaid, I might have gained an acquittal. Not so; the deficiency which led to my conviction was not of words—certainly not. But I had not the boldness or impudence or inclination to address you as you would have liked me to address you, weeping and wailing and lamenting, and saying and doing many things which you have been accustomed to hear from others, and which, as I say, are unworthy of me. But I thought that I ought not to do anything common or mean in the hour of danger: nor do I now repent of the manner of my defence, and I would rather die having spoken after my manner, than speak in your manner and live. For neither in war nor yet at law ought any man to use every way of escaping death. For often in battle there is no doubt that if a man will throw away his arms, and fall on his knees before his pursuers, he may escape death; and in other dangers there are other ways of escaping death, if a man is willing to say and do anything. The difficulty, my friends, is not in avoiding death, but in avoiding unrighteousness; for that runs faster than death. I am old and move slowly, and the slower runner has overtaken me, and my accusers are keen and quick, and the faster runner, who is unrighteousness, has overtaken them. And now I depart hence condemned by you to suffer the penalty of death, and they, too, go their ways condemned by the truth to suffer the penalty of villainy and wrong; and I must abide by my award—let them abide by theirs. I suppose that these things may be regarded as fated—and I think that they are well. Friends, who would have acquitted me, I would like also to talk with you about this thing which has happened, while the magistrates are busy, and before I go to the place at which I must die. Stay then awhile, for we may as well talk with one another while there is time. You are my friends, and I should like to show you the meaning of this event which has happened to me. O my judges—for you I may truly call judges—I should like to tell you of a wonderful circumstance. Hitherto the familiar oracle within me has constantly been in the habit of opposing me even about trifles, if I was going to make a slip or error about anything; and now as you see there has come upon me that which may be thought, and is generally believed to be, the last and worst evil. But the oracle made no sign of opposition, either as I was leaving my house and going out in the morning, or when I was going up into this court, or while I was speaking, at anything which I was going to say; and yet I have often been stopped in the middle of a speech; but now in nothing I either said or did touching this matter has the oracle opposed me. What do I take to be the explanation of this? I will tell you. I regard this as a proof that what has happened to me is a good, and that those of us who think that death is an evil are in error. This is a great proof to me of what I am saying, for the customary sign would surely have opposed me had I been going to evil and not to good. Let us reflect in another way, and we shall see that there is great reason to hope that death is a good, for one of two things: either death is a state of nothingness and utter unconsciousness, or, as men say, there is a change and migration of the soul from this world to another. Now if you suppose that there is no consciousness, but a sleep like the sleep of him who is undisturbed even by the sight of dreams, death will be an unspeakable gain. For if a person were to select the night in which his sleep was undisturbed even by dreams, and were to compare with this the other days and nights of his life, and then were to tell us how many days and nights he had passed in the course of his life better and more pleasantly than this one, I think that any man, I will not say a private man, but even the great king, will not find many such days or nights, when compared with the others. Now if death is like this, I say that to die, is gain; for eternity is then only a single night. But if death is the journey to another place, and there, as men say, all the dead are, what good, O my friends and judges, can be greater than this? If indeed when the pilgrim arrives in the world below, he is delivered from the professors of justice in this world, and finds the true judges who are said to give judgment there, Minos and Rhadamanthus and Æacus and Triptolemus, and other sons of God who were righteous in their own life, that pilgrimage will be worth making. What would not a man give if he might converse with Orpheus and Musæus and Hesiod and Homer? Nay, if this be true, let me die again and again. I, too, shall have a wonderful interest in a place where I can converse with Palamedes, and Ajax the son of Telamon, and other heroes of old, who have suffered death through an unjust judgment; and there will be no small pleasure, as I think, in comparing my own sufferings with theirs. Above all, I shall be able to continue my search into true and false knowledge; as in this world, so also in that; I shall find out who is wise, and who pretends to be wise, and is not. What would not a man give, O judges, to be able to examine the leader of the great Trojan expedition; or Odysseus or Sisyphus, or numberless others, men and women too! What infinite delight would there be in conversing with them and asking them questions! For in that world they do not put a man to death for this; certainly not. For besides being happier in that world than in this, they will be immortal, if what is said is true. Wherefore, O judges, be of good cheer about death, and know this of a truth—that no evil can happen to a good man, either in life or after death. He and his are not neglected by the gods; nor has my own approaching end happened by mere chance. But I see clearly that to die and be released was better for me; and therefore the oracle gave no sign. For which reason also, I am not angry with my accusers, or my condemners; they have done me no harm, although neither of them meant to do me any good; and for this I may gently blame them. Still I have a favor to ask of them. When my sons are grown up, I would ask you, O my friends, to punish them; and I would have you trouble them, as I have troubled you, if they seem to care about riches, or anything, more than about virtue; or if they pretend to be something when they are really nothing—then reprove them, as I have reproved you, for not caring about that for which they ought to care, and thinking that they are something when they are really nothing. And if you do this, I and my sons will have received justice at your hands. The hour of departure has arrived, and we go our ways—I to die, and you to live. Which is better, God only knows.